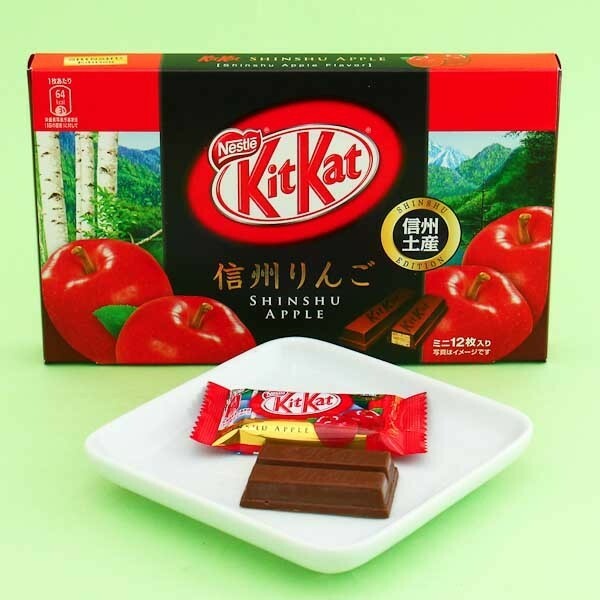 Treat yourself with these special edition Kit Kat Shinshu apple chocolates! Usually sold only in Japan's Nagano prefecture, these Kit Kats are inspired by the popular apples of the Shinshu region of Japan. 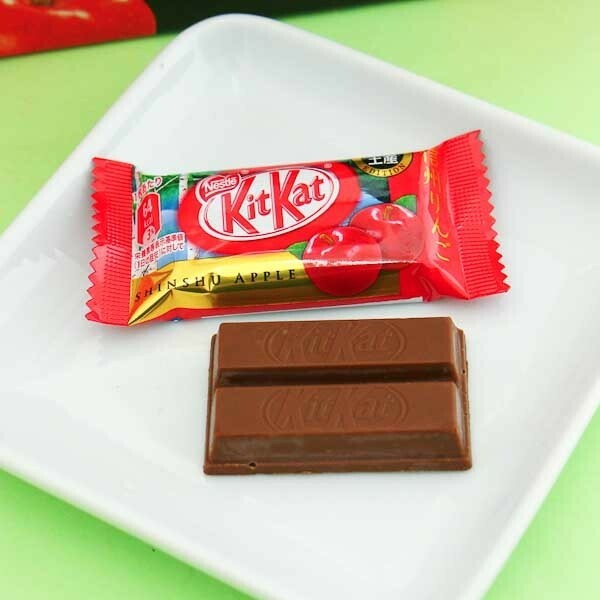 The flavor is a mix of a fresh, perky apple and a sweet Kit Kat chocolate! The beautiful package includes 12 mini bars each individually wrapped, so they are easy to take with you anywhere you go. The perfect gift to give to yourself or share with your family and friends!